FRANKFURT -- Daimler AG expects to increase sales of its passenger cars by nearly 6 percent this year, it said on Wednesday after reporting record July retail volumes for its Mercedes-Benz brand of luxury cars. 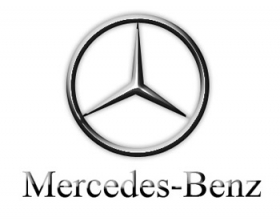 Sales of Daimler's Mercedes-Benz brand rose 2.7 percent to 100,391 vehicles in July, the automaker said. Since the beginning of the year, the company has sold 710,922 cars, a rise of 8.6 percent over 2010 figures. "Altogether we are targeting sales of over 1.35 million Mercedes-Benz and Smart brand passenger cars for 2011, making it the best year in history," Mercedes sales chief Joachim Schmidt said in a statement. Last year Daimler sold almost 1.28 million Mercedes and Smart vehicles. Sales of the Mercedes-Benz brand in China sank 2.5 percent last month to 14,248, which the company attributed to lower demand for its aging c class -- its biggest model-line by volume. Sales in the first six months however rose 41.7 percent to 106,422 units. Daimler said it expected "clear growth" in sales in China during the third quarter, when the facelifted c-class version hits the local market. In its German home market, the automaker sold 23,098 cars in July, a fall of 1.9 percent. Between January and July, Mercedes-Benz delivered 146,111 cars, a rise of just 0.1 percent. Overall in western Europe, sales of Mercedes cars fell 1.9 percent last month to 46,241 units. Half-year sales of the brand grew 0.4 percent to 323,084 units. In the U.S. the automaker saw significant growth in July, with sales rising by 9.4 percent to 129,932. In the first six months of the year, Mercedes-Benz sold 129,932 cars, a rise of 7.3 percent over 2010 figures. Sales of Daimler's Smart brand rose 2.1 percent in July to 8,521 cars. Since the beginning of the year, the automaker has sold 63,322 cars, a rise of 7.2 percent. In July, the overall sales for Mercedes-Benz Cars grew 2.7 percent to 108, 912 units. Between January and May the total reached 774,244 units, a rise of 8.5 percent.